Back in June, I was invited to speak at the Nikon School in Taipei on travel and adventure photography. The school was such a wonderful host! There was space for 100 people and we managed to fill the room and unfortunately had to turn away nearly another 100 others. I assume that everyone enjoyed listening to me for 3 hours (I had the help of a translator – I really need to learn to speak some more Mandarin!) 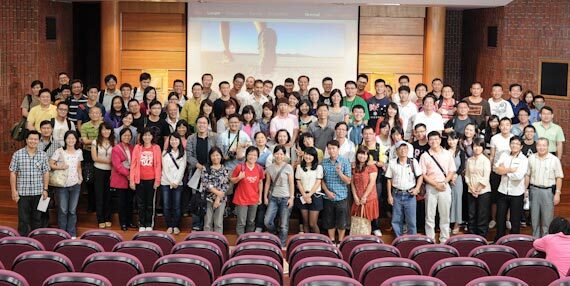 since I returned to do two more lectures in September in Taichung and Kaohsiung. A belated thanks to all that attended and for all your questions! I’m back there in the middle somewhere! This entry was posted in News and Notes, Travel. Bookmark the permalink.